Grew up with KD Slovan Ljubljana (Slovenia) youth teams. 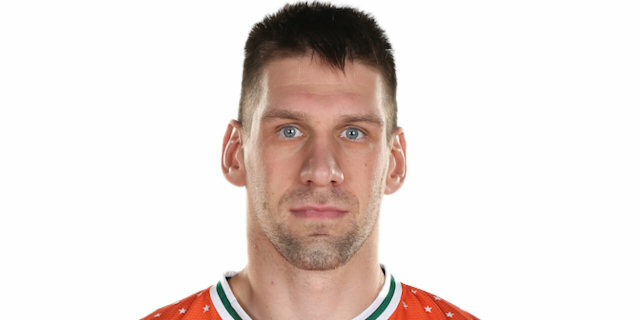 Made his debut with Ekipa Jance STZ, in the Slovenian minors during the 2003-04 season. Moved to Turkey for the 2007-08 season, signed by Fenerbahce Ulker Istanbul. Moved to Slovenia for the 2009-10 season, signed by BC Olimpija Ljubljana. Back to Turkey on April '10 signed by Fenerbahce Ulker Sports Club Istanbul. Signed for the 2013-14 season by Fenerbahce Ulker Istanbul. Signed for the 2015-16 season by Banvit Bandirma. Won the 2007-08, 2009-10, 2010-11 and 2013-14 Turkish National Championship with Fenerbahce Ulker Istanbul. Won the 2010 Slovenian National Cup with BC Olimpija Ljubljana. Won the 2011 Turkish National Cup with Fenerbahce Ulker Istanbul. Won the bronze medal at the 2006 European U-20 Championship. Played at the 2007 and 2013 European Championships.